This is a human interest story about Millie McCormack who was a secretary in the Inyo County District Attorney's office at the time that Charles Manson and other Family members were arrested. Millie passed away in 2008 in her hometown of Lowell MA. LOWELL- Inyo County California is a wild desolate desert lit by spectacular sunsets but still is sometimes cold at night. Millie McCormack remembers she could drive 200 miles before stopping for a red light or seeing a building with an elevator. In her conservation Commission office at city hall, she also remembers some of the four years she spent living and working in Independence, the county seat, with the District Attorney's office as a secretary. But she has forgotten when it was that the lid of secrecy descended on the D.A. 's office, sometime in the fall of 1969. Office work had been relatively routine: an arrest of hippies for a stolen dune buggy, some work on where marijuana plants were growing in the desert. But one day, the office was locked from the inside, no telephone calls were accepted and Millie was told not to discuss a particular case with her fellow workers. Investigators from Los Angeles had visited the District Attorney Frank Fowles, early in the morning to question the suspects in the dune buggy theft, particularly the leader of the seemingly religious cult, Charles Manson. For several months Millie would have a close-up view of one of the decade's most bizarre murder cases: the murder of Sharon Tate, her friends and the LaBianca family. Millie is the blond-haired, sunny smiling woman at the conservation commission office who always answers the phone calls cheerfully but can be exacting with the official minutes she types. She grew up in Lowell but moved to California with her family in 1955 and had worked for a year at San Quentin prison typing psychological reports before landing the job in the Independence District Attorney's office. She returned to her native Lowell in 1971 and is now working full time in the basement city hall office, answering questions and typing letters and minutes for three city commissions, the conservation commission, the zoning board of appeals and the housing review board. Next June she will graduate from the University of Lowell with a bachelor's degree in business management and psychology. "It's something I have always wanted to do for 20 years, " she says. "Call it motivation." Looking back on the Manson case, she remembers details, sometimes vividly, sometimes vaguely. "I think about it if a new book comes out, a new movie," she says. "I think it's something I want to forget." 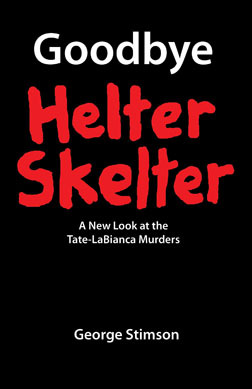 At home two books "Helter Skelter" and "The Family", lie unread. She didn't even watch the recent television show about the Manson case. After living with the events for months, she knows enough about the case already. Even though the trial of Charles Manson and his family occurred in Los Angeles, the case actually began in Independence where Manson and 24 followers had been arrested in October at Barker Ranch in southern Death Valley. A lead on unrelated of a blue-flecked dune buggy and a red Toyota had lead Inyo County officers to the Manson ranch. No one thought the arrest had anything to do with the shocking murder of Sharon Tate and four friends at home August 9 and the similarly brutal murder of Rosemary and Leno LaBianca the night after. All this was just front-page headlines in Los Angeles, 225 miles away from Millie in Independence. But a slim connection between the girlfriend of a suspect in a murder case and the Barker Ranch suspects led Los Angeles investigators to Independence to visit the Barker Ranch, some 80 miles away. Millie remembers the movies taken by the Los Angeles police and Fowles which showed the huge boulders and the rough terrain on the trip to the inaccessible Barker Ranch. "You wouldn't believe anything would go over them," she says. She also remembers the babies that had been picked up during the raid, and particularly on in the office. "The baby looked like he had been bruised," she says, "But he was very healthy. That's why they couldn't understand the bruises." Finally, health officials found that the babies had been kept in the desert below cactus plants but had not been hurt. In fact, Millie remembers the baby she saw was "the healthiest baby you would ever want to see." Some of the 24 family members arrested on the October raid were released on insufficient evidence, such as Lynette "Squeaky" Fromme and Sandy Good. But the others including Manson remained in the Independence jail while the Los Angeles police tried to fit the pieces of the murders together. So many times Millie heard the officers talking about how they couldn't let the statute of limitations run out on the stolen dune buggy charge, just in case Manson got off on the Tate-LaBianca murders. Even though the case would be sensational later as the connections were slowly made, Millie says other small incidents caught her attention more. Once an F.B.I. agent was showing her how he drew his gun from the holster. "It was hard to type because they'd be showing the fastest way to draw a gun," she says with a laugh. "They'd be down on their knees showing how to hold a gun steady." She remembers different episodes of the case before anyone knew how important it would become: when the suspects had their Miranda jail rights read to them in jail when the father of one visited them in the office and wore a necklace of flowers. Millie thought, "No wonder they are the way they are..." I was very biased back then, very straight laced myself," she grins and admits freely. But so much of the usual business kept her busy that she was distracted from the case. She still typed reports, subpoenas, writs, took dictation and notes when the D.A. investigators questioned the suspects, wrote the state and even Scotland Yard and Interpol. "It was exciting but at the time I didn't realize the magnitude of it, " Millie recalls. But she vividly recalls being left to watch the babies and Sandy and Squeaky once. A baby dropped its pacifier on the floor, so the girls asked Millie to wash it. "I thought it would take 10 seconds to go and wash it because the baby had started crying," Millie recalls, "And when I got back, they were going through the files." Resourcefully enough, Millie just went over and sat on the folders they were looking through. Of course, she doesn't forget Manson himself who she saw about five times, walking into the Independence courtroom just down the hall from the D.A. 's office. He had tiny pupils, so his eyes appeared almost totally white, and wore a long unkempt beard. He had been chained at his wrists and shackled at his ankles so that he shuffled looking small and frail. "Usually they don't shackle the legs of a prisoner and that's what made such an impression on my mind.," Millie says. "It's kind of shocking to be close to someone shackled and chained." 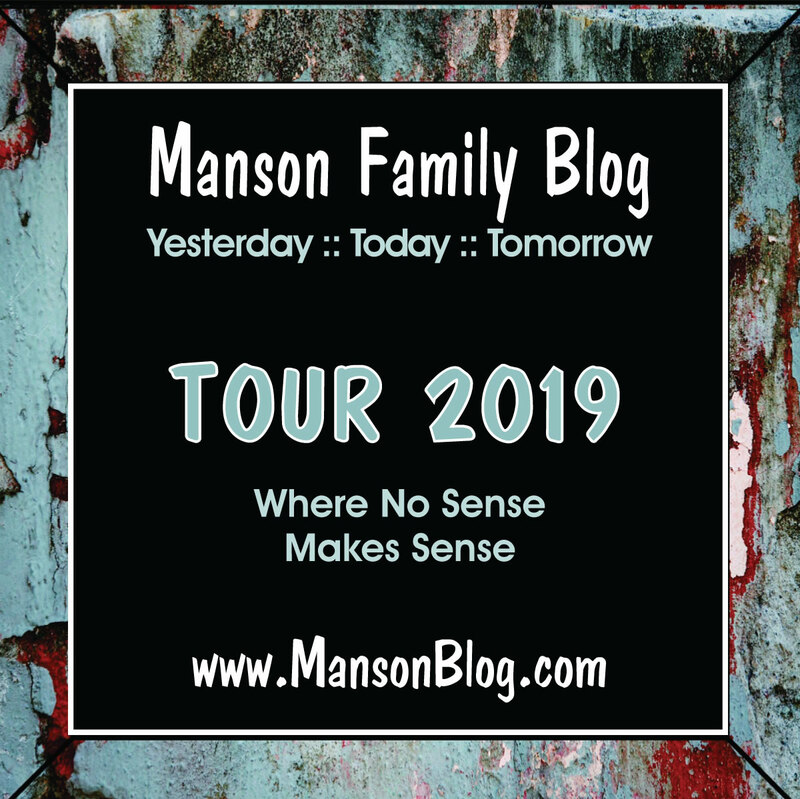 In Los Angeles, a rumor was going around that family members were going to Independence to either bail Manson out or shoot him out of prison. The D.A. Frank Fowles, sent his wife, Cathy, out of the county and the Assistant D.A., Buck Gibbons, bought a German Shepard to guard his house. Millie's husband taught her how to shoot a 30-06 which they kept in the bedroom. Millie remembers it coolly but says she was "surprised" when the attorney's wives were sent away. 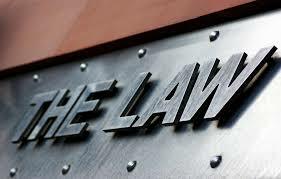 As Vincent Bugliosi, the Los Angeles District Attorney prosecuting the Tate-LaBianca cases reports, a lot of reporters showed up in Independence that holiday weekend but no bail money and no escape attempt. While Manson was in jail, Squeaky and Sandy stayed in a motel in Independence and loitered around the corner park near the jail. Millie says the high school kids were especially attracted to the two girls and they would "talk to anyone who would listen." Millie had to warn her own children to stay away from the Manson girls, although she let them have three days off school to attend the court hearings. "There was an awful lot of publicity and I think some glory was being attached to them," Millie says seriously. "I wanted them to see the real side, that there's no glory." My son said he was glad he had the chance to see him, but there was a lot of irate people who thought the school shouldn't have let the kids out," Millie says. She wrote a note specifically so her children could be excused from school. On December 9, 1969, Manson, Linda Kasabian, Patricia Krenwinkel, Susan Atkins, Leslie Van Houten and Charles Watson were charged with murder and conspiracy to commit murder by the Los Angeles County grand jury. They were transferred to Los Angeles leaving Independence in peace. But discoveries in the case continued and in one final way, Millie became involved in the case even more. A friend who worked in the motel where Squeaky and Sandy had stayed called her saying she had found letters in the girl's room. Millie's friend thought of selling them to the Los Angeles Times, but Millie convinced her to turn them over to Fowles. The investigators were interested in the letters enough to want Millie to photocopy them.
" But a slim connection between the girlfriend of a suspect in a murder case and the Barker Ranch suspects led Los Angeles investigators to Independence to visit the Barker Ranch, some 80 miles away." Does this refer to Kitty Lutesinger and Bobby Beausoleil? I don't recall the sequence of events. When did others get implicated in the Gary Hinman murder besides BB? Yes Hump, it is referring to Kitty. She went to the police (I think in San Dimas - after her escape from Barker with Stephanie) and told them what she had previously heard from Susan Atkins, hence tying her to the crime. "Go to work, go home, go to sleep, - got to work, go home, go to sleep - go to work ...."
Does it not get any better than that ? YES it does. YOU get to type legal papers relating to Charles Manson and his Family. Very good observation Hump. Imagine the feelings in conflict: the "union" they once felt and the fear of being related to a hang job. Really liked reading this, and kinda felt relieved that she thought the baby was healthy. When i read Bugliosi book it broke my heart to learn some of the babies had sunburns. I think he wrote "bad sunburns".